“Little children, keep yourselves from idols.” It’s a peculiar way to end a letter, but that’s how the apostle John concludes his words to the churches of Asia Minor. He has been writing to give them assurance of their salvation, of their standing before God. As he concludes he urges them to cling to the true Jesus, the Son of God. If they settle for an inferior Jesus, a syncretistic salvation, they will never find assurance. He grounds their confidence in their convictions about the Son of God. Those who believe that Jesus is the Son of God receive assurance of their salvation. John chapter 5 does not quite fit the pattern of our previous three spirals. While the previous three have outlined a doctrinal test and a moral test for assurance, each respectively, the final spiral does not fit so neatly into that framework. All the major themes of John’s epistle find their way into chapter 5, and John looks at each from varied angles. 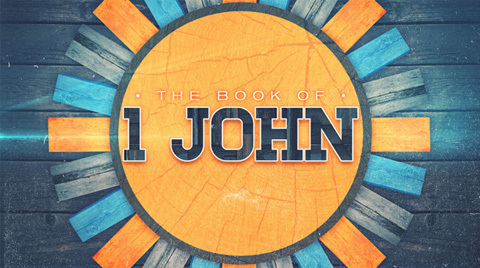 As John concludes he wants to emphasize again the truth about Jesus, namely that he is the divine Son of God. He emphasizes this, he tells us, so that those who believe in him will have confidence. Those who believe that Jesus is this Son of God find several means of confidence: they have overcome the world, they have eternal life, and God hears their prayers. Our faith is victorious because we have believed in the one who is victorious over this world: Jesus Christ. The interlocking of the themes communicates a more holistic picture of the Christian faith than any single test might do. Believers have confidence that though they may die, they will never truly die. They have victory over the world, which includes victory over death. Eternal life is granted to all who know this Son of God. True believers need no other intermediary, we have Christ. We pray and God hears us because of Christ. Yet notice here too the interconnection between belief and love. For the prayers we pray are not merely prayers for ourselves, but prayers for those who struggle with sin. John says we may pray for those who sin and God “will give him life” (v. 16). This has given me great confidence to pray for those many people I counsel who do not seem to want to change, those who frustrate me. Because I believe that Jesus is the Son of God I know that when I pray for these friends God hears my prayers, and He may yet give them life. We should not misconstrue the intent of these verses. There are some who read these passages and conclude God gives us whatever we pray for, after all the text says we “have the requests that we have asked of him.” There is a key phrase that guides our prayers, “according to his will.” If we ask according to his will we may have the confident assurance that God hears and answers our prayers. Those things we pray that are outside His will do not have such guarantees upon them (James 4:3). The point John wants to drive home, however, is the confidence we have of our relationship with God. Those who are in a good relationship with the Lord have the confidence that He hears our prayers. This is why it is so important that we rightly believe the character and person of Jesus Christ. Don’t settle for idols, John urges upon his readers as he concludes. Don’t settle for them because they cannot do these things for you. Those who believe that Jesus is the Son of God, however, have confidence. They know they are saved and they know that they reap these great benefits from Him. True believers cling to this truth and hope.